But you know it’s your happy place and you want to get that joy back. So how? Where did your sew-jo even go? Sew-jo is a play on words, combining ‘mojo’ with ‘sewing’ to describe a drive for sewing. I don’t know which witty person came up with it, but kudos to you, my friend. Very clever. It’s totally normal for this drive to ebb and flow, so don’t be too concerned when you hit an ebb. Busy-ness and stress will squash creativity. When you switch into survival mode, your brain ditches creativity to cope. But it also works the other way where creativity can ease stress. It’s a catch-22. If you’re stressed, you need to relax and get creative, but your brain is swamped and all you can muster is sitting on the sofa to stare at the TV. The key here is to just start making. Find something that doesn’t involve too much creativity, but will just get you sewing. Try a tried-and-true pattern that you know will work and won’t involve a lot of thinking. Be sure to use a fabric that makes you happy and you’ll love to wear! Your creativity may be stifled, but the act of sewing itself may help trigger your sew-jo again. Absorbing yourself in something else for a while may even help you find creative solutions to your stress and could help you sleep better. Maybe your last make(s) left you feeling flat? It didn’t turn out like you’d expected and you missed that rush of satisfaction that we all crave. I’ve been there plenty of times, especially when I first started out and most of my sewing ended up in the bin. What you need is that buzz. That rush of pride in a garment that fits like a dream. This is about self-esteem and feeling good about your abilities. You need a guaranteed winner. Go for a basic style top or dress pattern; a real simple design in a relaxed fit. Even better, choose one enjoying renowned success on social media. That way, you can see how it looks on a lot of different body shapes and find out what any issues are before you start. Also, drop the perfectionism. We are our own worst critics and to be honest, most of the time your garment is just fine! Let your ‘failure’ sit for a month before trying it on again and you may find the issues aren’t really a big deal. Or you might be more willing to unpick and try fix the errors by then. If nothing else, you’ve had a learning curve and that’s valuable. A success in itself! It’s often the best way to learn any lessons, be it sewing or life, so take the lesson and move forward. 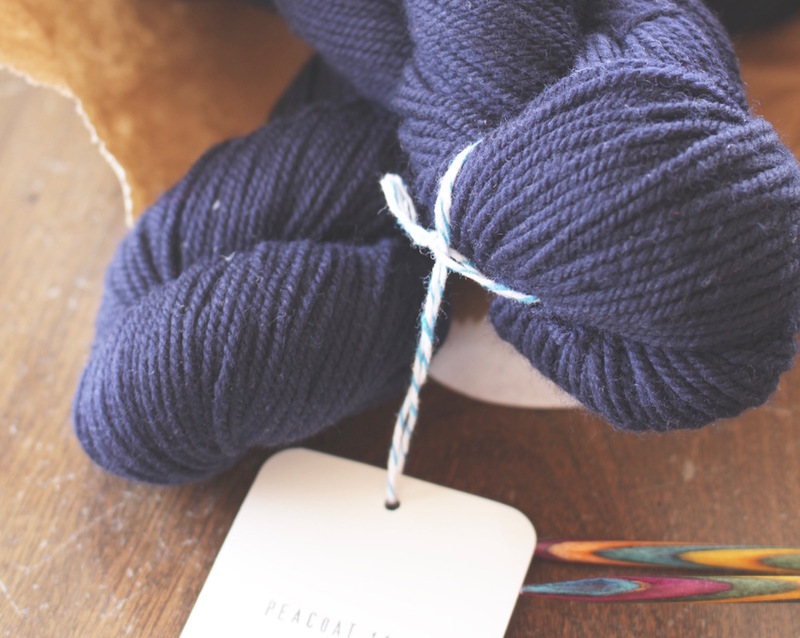 Every winter, my sew-jo fades and I discover a compulsion to knit instead. I don’t want to sit in a cold room, chilly toes beneath a sewing table while the fire burns in another room. I want to be tucked up on the couch with a blanket, Netflix and a creative project between my fingers. Go with that. 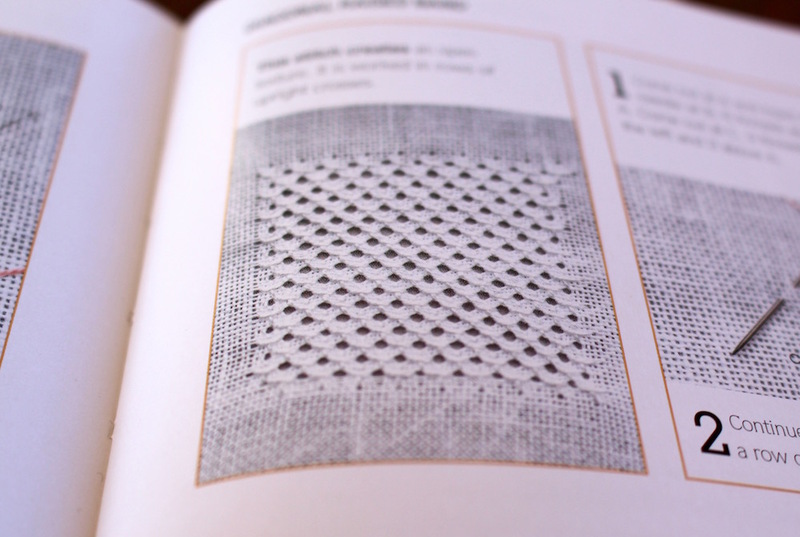 If knitting isn’t your jam, try practicing some open-work (illustrated below), hand-stitching or even mending. If those fingers want to make, let them make. You can get the sewing machine out again when the sun returns. There’s nothing like a gritty sewing challenge. One where you can learn new techniques and stare a scary zip insertion in the eye. But too many of these makes in a row can be taxing, so be sure to intersperse them with easier, short-term makes for quick gratification. I like to call those ‘palate-cleansers’. A small make between larger projects to refresh my joy of sewing. It goes the other way as well. Too many quick and easy makes can leave you bored and unstimulated, so make sure you challenge yourself occasionally with a new technique or two. 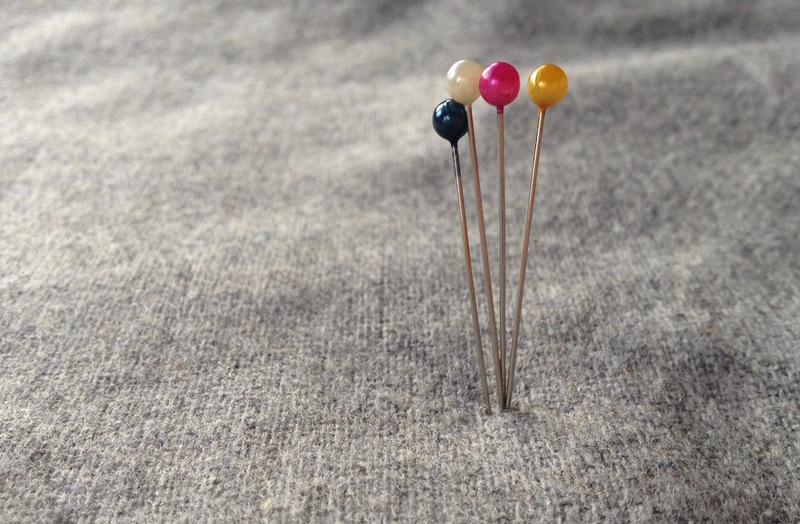 Spice up your sewing and reap the satisfaction of tackling a new skill. Just imagine all the options that will open up to you when you learn how to sew a button-hole or an exposed zip! Maybe you just need a break. We can get in too deep sometimes and it might be that you just need some air. If sewing is an activity you usually love, then trust it will come back next time you find a need in your wardrobe or fashion-envy on Pinterest. 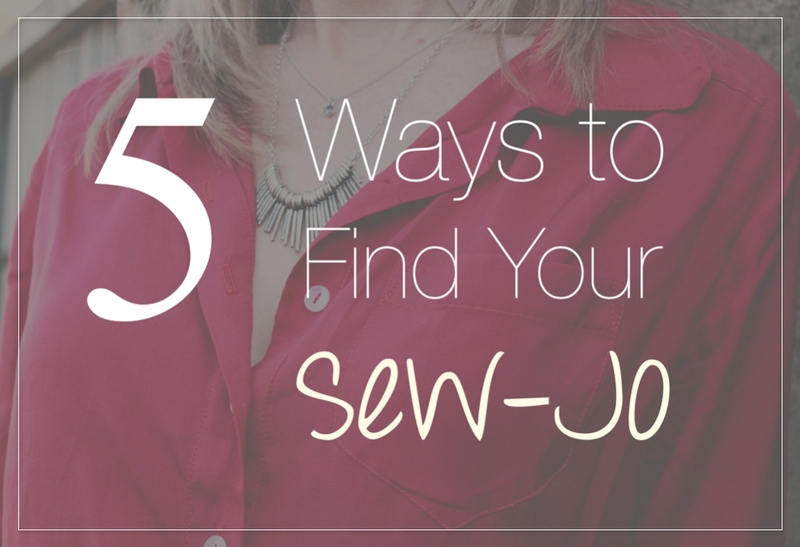 Give yourself the time and space to pursue other interests and when inspiration strikes, your sew-jo will let you know. 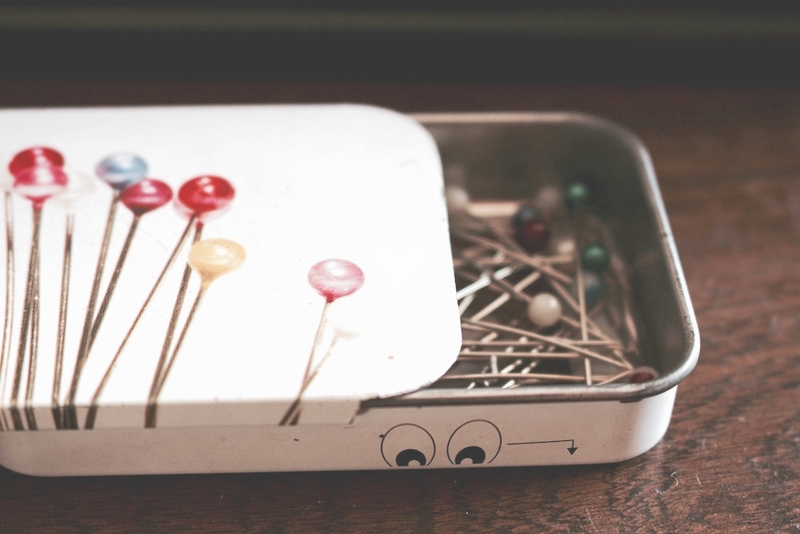 Whatever led you to sewing in the first place, will likely lead you there again in time. Read a book, do some gardening, go for a walk … if it relaxes you, then do it. Because isn’t that why we sew? To find that calm place where we can lose ourselves while the rest of the world momentarily melts away? It’s good for the soul. For our well-being. So if you find this escapism elsewhere for a while, that’s okay. Your sewing machine will still be there when you return. So true. Thanks for your words of wisdom. Excellent post especially since I find myself in this predicament presently. Want new posts sent to your inbox?